Country music star Jason Aldean got to introduce Memphis to his new little sister, Navy Rome. Watch the cuteness here! 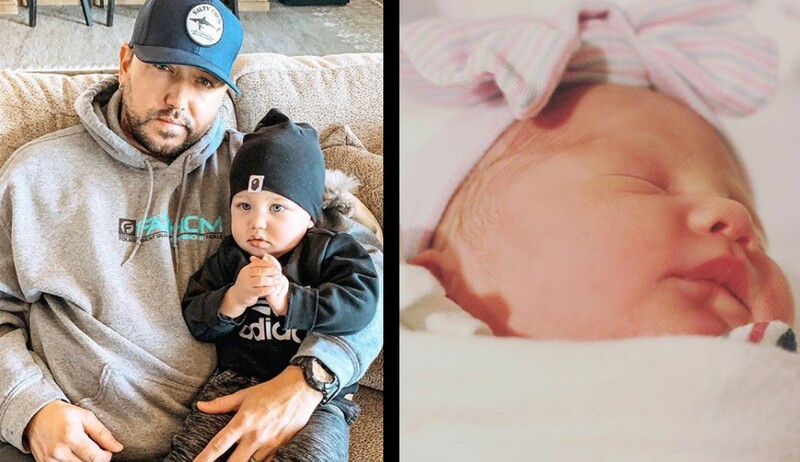 Country music superstar Jason Aldean and wife Brittany welcomed their second child together, daughter Navy Rome, on Monday, February 4th! As can be expected, the parents were eager to introduce son Memphis to his new little sister. Watch Memphis give Navy some ‘sugar’ below! After spending some downtime with his wife and children, the star’s 2019 Ride All Night Tour will launch on May 3rd in Uncasville, CT, with special guests Kane Brown, Carly Pearce, and Dee Jay Silver.